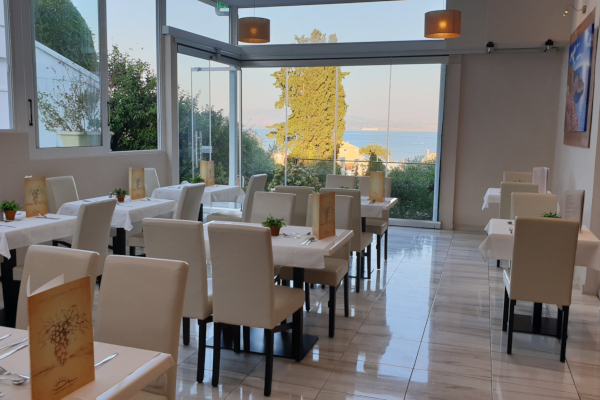 Breakfast and dinner is being served at the Thalassa Restaurant at Hotel Yannis Corfu (in 400m distance). The restaurant specializes in exquisite and homemade Greek and Mediterranean cuisine. At breakfast and dinner a variety of dishes in a buffet style are being prepared including hot and cold breakfast items and a large selection of starters, salads, main course and desserts at dinner.